The 7S11 Sampling Unit With Sampling Head Plug-in is a single-channel vertical module using the sampling plug-in head concept for 7000-Series sampling oscilloscope systems. The 7S11 can be used in a variety of configurations. 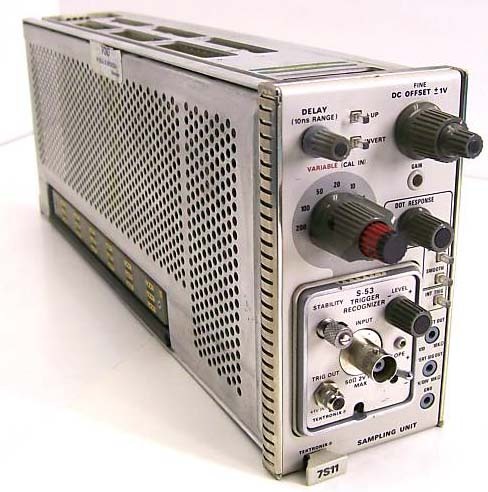 Single channel 2 mV to 200 mV per division with one 7T11A sampling timebase module or two 7S11's can be use with one 7T11A for dual channel sampling. 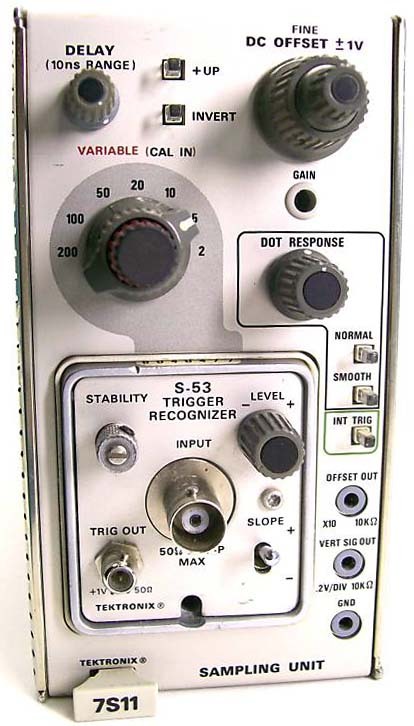 A 10 ns delay range is available for comparing two signals in a dual channel combination. 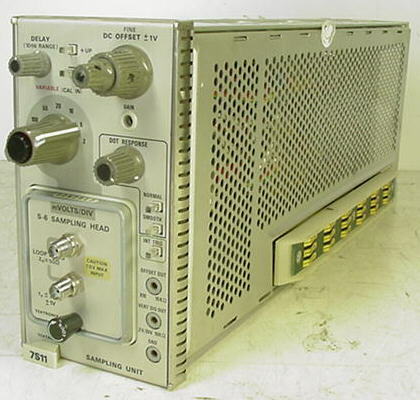 DC offset is from +1 to -1 VDC. Vertical signal out is 200 mV per displayed division within 3%. 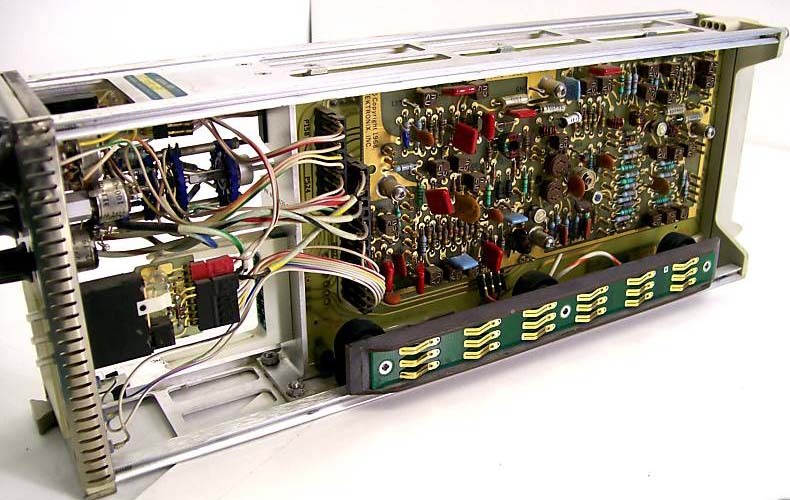 The bandwidth and input impedance are determined by the S-Series sampling head chosen to use in your system.